First beer is Jean Claude, Belgian Strong Golden Ale. Aptly named in honor of our brewers’ traveling van, Jean Claude Van Damme. This is our spring seasonal beer which will be offered for the next few weeks, brewed on our large system. Second beer: Unite Red. We brewed this beer with fellow Pink Boots Society members across the world, at the same time. Steph Cope, our brewer, is the only female head brewer in Nevada. We added a southwest desert twist by adding Mesquite smoked malt. This is a one keg wonder, brewed on our pilot system-it will go fast! 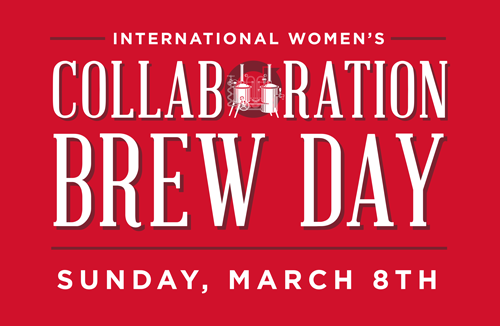 The Pink Boots Society promotes females in the professional brewing industry. All proceeds will benefit the Pink Boots Society scholarship fund and Las Vegas chapter of Dress for Success. This entry was posted in Menu and tagged #beerzombies, #craftbeer, beerrelease, crafthaus, vandamme by beerzombies1. Bookmark the permalink.